One of my favorite sub-sub genres of metal is black/thrash. That incredible combination of the darkness and dirtiness of black metal plus the speed, aggression and thrashiness of thrash is hard to resist for me. The band that I feel best signifies that crude mixture is Ammit. Hailing from Chile, they create some of the most filthy, blasphemous and gritty music that has graced my ears. The guitar tone is raw and crunchy, as well as slightly and awesomely out of tune. When played with a thrash sensibility, it sounds ugly, biting and sharp. The vocalist supplies a rough and truly hateful style, a weird combination of untrained singing, thrash shouting and black metal harshness. This style conveys the sinful Satanic and Occult lyrics and themes of Ammit's music in the most ugly way possible. The production is as raw as it gets, without sounding forced or unreal. 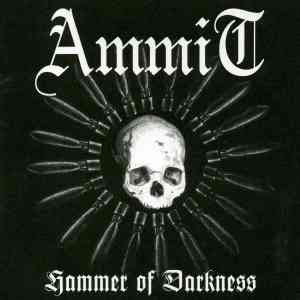 Again, Ammit is a great example of a black/thrash metal band. This is how raw metal should sound!